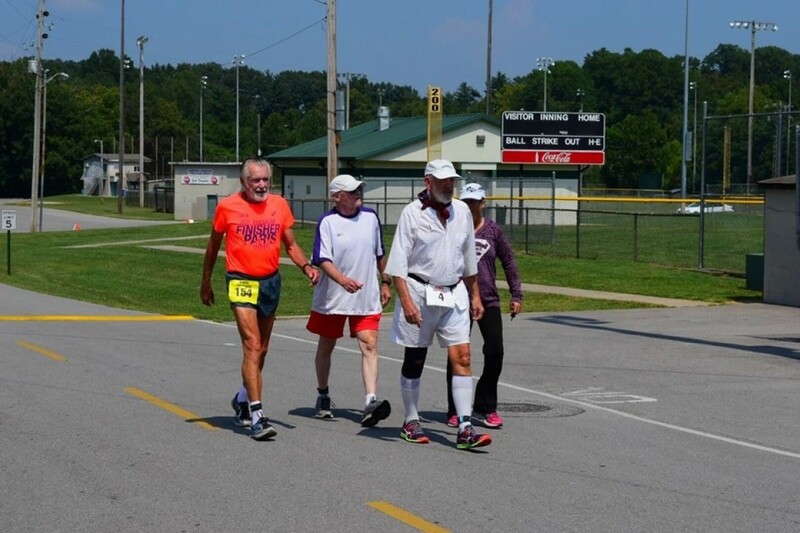 Once again, over Labor Day Weekend of 2018, ultramarathoners will descend on Fred Deadman Park in Manchester, Tennessee. Led by a contingent of wheezing geezers, a couple of hundred of America’s finest footwarriors will circle the famed Deadman Mile for days on end, culminating in the grand finish and banquet at noon on Labor Day Monday. All awards will be handed out at the banquet, including the 100 (and 200) mile buckles. We will not be trying to process that during the event. If you want to come, run part of the race and go home, that is your prerogative. But we will not be processing the final results (nor giving out awards) until the race is over. All runners 40 and over will be allotted a number of hours equal to those hard-earned years of age in which to accumulate as many miles as possible. All the kids, 39 years, 364 days and below, will compete over the final 40 hours of the race. The winner will be the runner with the most miles accumulated by the finish. In contrast to most ultras, where the old guys must settle for a place at the rear, if they can make the time limit at all, the ARFTA is dominated by the super veterans of the sport. Last year 20 over 70 years old completed over 100 miles. This is one race where the older guys are right in the running up until the very end. The footspeed may have diminished with the passing of the years, but the fires of competition still burn bright. Of course it is not the competition which has made this event an instant classic. It is the stories. In the perfect setting of a one mile loop through the park, today’s ultrarunners have the opportunity to spend time with the legends and heroes of the long ago past of the sport. And the old guys and gals have the opportunity to rekindle old friendships (and rivalries) and to rehash the old days. The stories they have to tell are not tales immortalized on the internet, instead they exist only in the memories of those who were there. For all the hundreds of miles that are logged, and the fierce battles sometimes waged for position, it is the celebration of life atmosphere that has made the ARFTA a must-do event.